Time for the Gluten Free Dairy Free Christmas Cookie Countdown 2012. 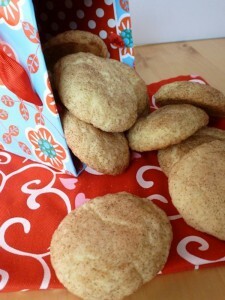 Every Saturday and Wednesday for the next six weeks a different cookie will be posted. 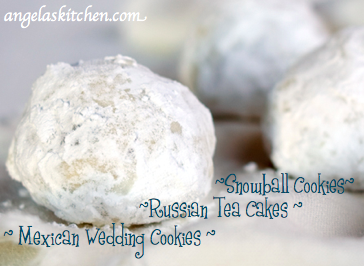 Bake each one to have a fun variety on your holiday cookie tray! Spreading out the recipes gives you a chance to spread out the process, keeping the baking fun (and not a chore). 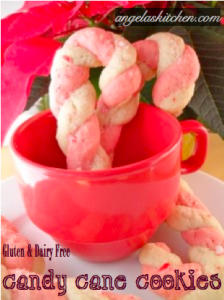 Of course, if you don’t want to bake all of the 12 Days of Christmas cookies, feel free to mix and match the cookies your family will enjoy. Happy Holidays! 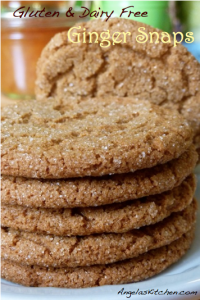 Gluten Free Dairy Free Ginger Snaps. 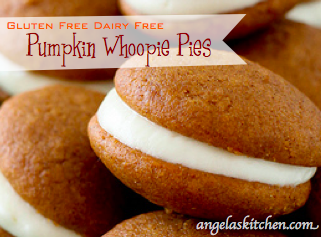 I will be making a double batch. A couple will go into the cookie jar, but the remainder will be divided into thirds. 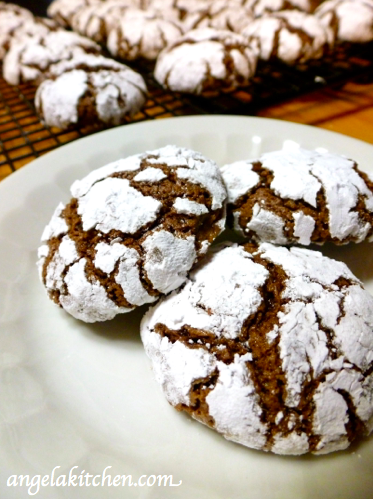 One third will be packaged for Thanksgiving, one third for Christmas, and one third will be packaged up for gift cookies. 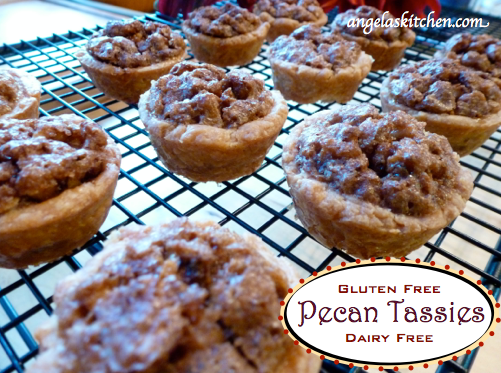 Gluten Free Dairy Free Pecan Tassies: Bake a triple batch of these buttery tasting little morsels. Package a third for Thanksgiving, a third for Christmas and a third for gifts. Gluten Free Dairy Free Pumpkin Whoopie Pies (with a maple marshmallow filling). Bake a double patch. 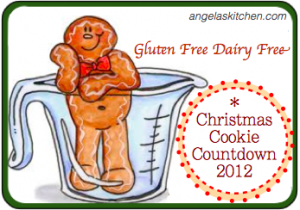 Package and freeze a third for Thanksgiving, a third for Christmas and a third for Christmas gifts. 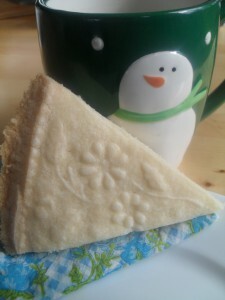 Gluten Free Dairy Free Lemon Shortbread Cookies: I’ll be baking a triple batch of these crispy light cookies (half will be packaged and frozen for Christmas and half for Christmas gifts). 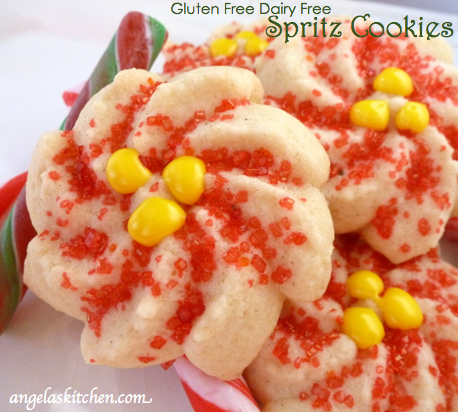 On the eighth day of Christmas, my true love gave to me… Gluten & Dairy Free Spritz Cookies! 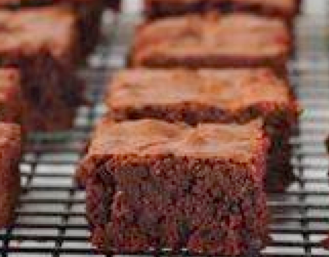 It’s not a cookie, but Brownies are too delicious not to make the list! On the tenth day of Christmas, my true love gave to me… Snickerdoodles! These are a welcome treat to find in your stocking Christmas morning. 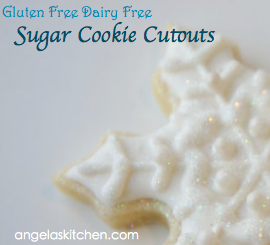 On the eleventh day of Christmas my true love baked up Sugar Cookie Cutouts. Mmmm…. 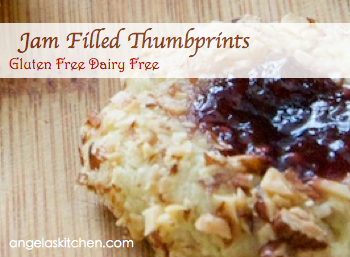 And to wrap up our Gluten Free Dairy Free Christmas Cookie Countdown, we have Jam Filled Thumbprints. Thanks for joining me. I hope your holidays are merry and bright!